Share the radiance of the holiday season with those who make you feel merry and bright. 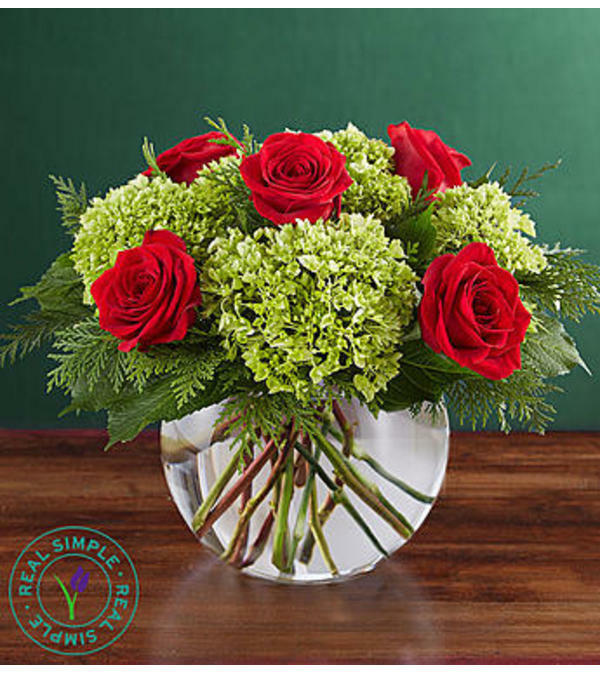 Our sensational new arrangement is brought to you exclusively through our partnership with Real Simple®. 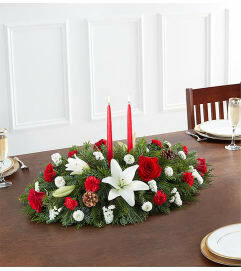 Its simple yet sophisticated design combines lush and lively blooms in the classic colors of Christmas. 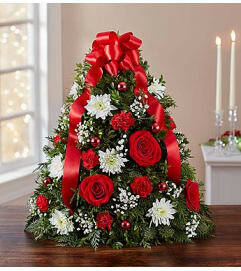 Gathered inside a chic, reusable bubble bowl vase, this compact beauty is big on Christmas spirit.